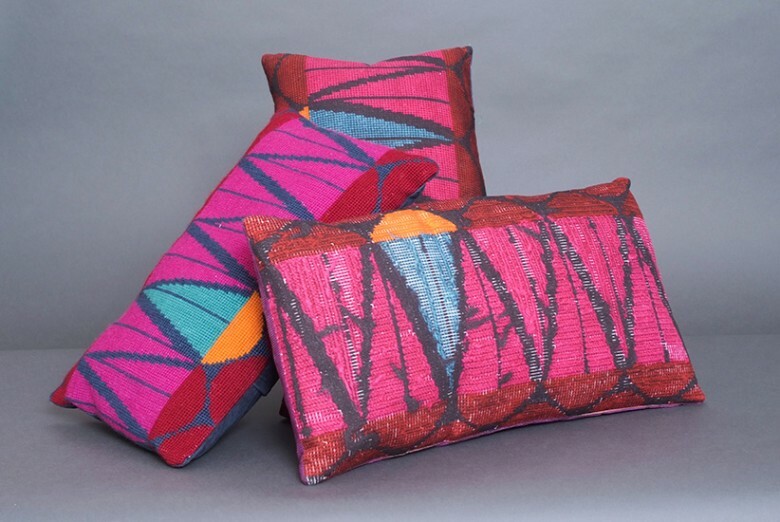 Past and present design and technology vocations appear in many exciting forms and today we are inspired by Birmingham’s modern Tapestry designer and Maker Tina Francis. 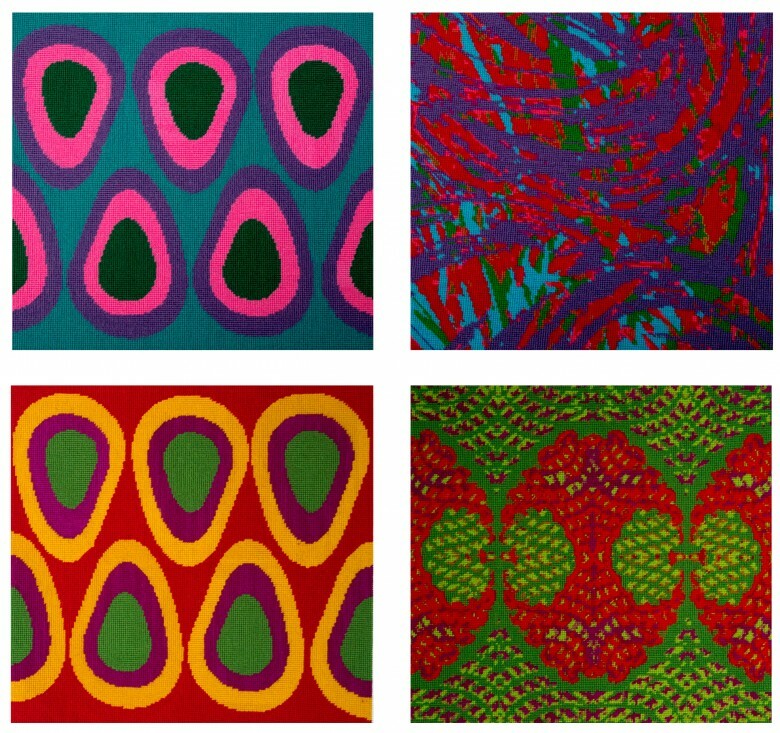 This weeks industry insight: Tina talks about her Tapestry designs and patterns for home-ware, wall-art and interior accessories. BCA: Why did you choose a career in Tapestry Design? 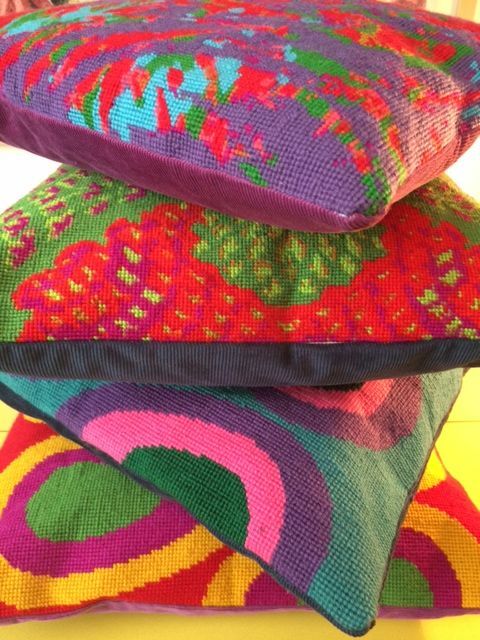 Tina: I love print and also texture tapestry needlepoint brings both of these together. I became interested in tapestry because I bid on a box of embroidery transfers, when I got the box home I found that it contained a whole woman’s life in the patterns she had used. From knitting patterns for baby bootees, through to school uniforms and home improvement patterns back again to more modern baby knitting patterns for her grandchildren. This woman had spent her whole life stitching love, she was a true artist. I began to look at other “home-crafts” and query why they were not considered as art. I learned how to stitch from secondhand tapestry’s and then decided to design my own kits, so from an unknown woman to a small business stitching on her shoulders. BCA: What part of designing excites you and why? Tina: It’s the potential of a new texture that excites me. Living in the centre of Birmingham I am surrounded by concrete and urban textures, making these into something beautiful is what keeps me going. BCA: What project are you currently working on? 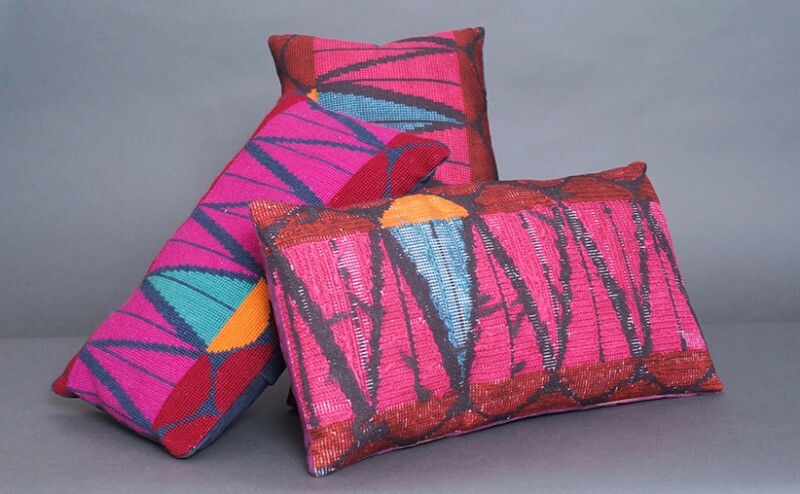 Tina: I am working to add more patterns to my Use Your Stash range. This range encourages people to use the wool they have already got rather than go out and buy more. Wool is a sustainable product but that does not mean that we should waste it. BCA: What technology have you used as part of your project? Tina: I start by drawing a pattern on paper, this is important to me because so much of my time is spent with a needle using paint is a joy! 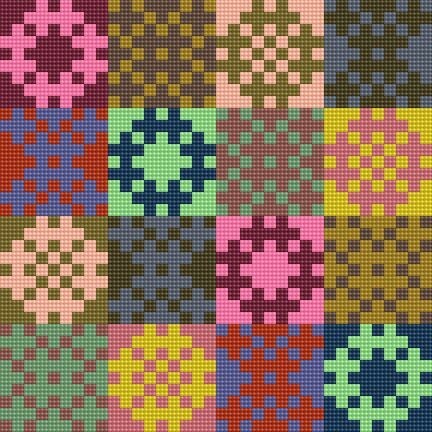 I then use Photoshop to clean up the design and convert it into a stitch programme with Cross Stitch Pro. For something so handmade there is a lot of technology in the planning. BCA: What mistakes did you make and what did you learn? Tina: I think I am still making mistakes, it’s the only way to learn sometimes. I have some designs that do not sell well because in reality I designed them just to please me and di not think about the customer. Whilst it’s important to follow your own design ethos it is also important to realise that people will not always like what you do, a little tweek here and there can make a design more appealing. BCA: What industry advice would you give someone interested Tapestry Design? Tina: Tapestry is a slow Craft and stitching up the designs takes time, work hard on getting your technique right because the products you stitch up need to be the best they can be for imaging and displaying in print media and on the internet. BCA: What do you think about BCA and what they do in education? Tina: When we think of art we tend to think about painting and drawing in fact there is so much art in design and printing, just because we are using technology that could be thought of as scientific does not mean we are not artists. It’s great to see a company like BCA working with schools and communities to show that art, design and technology can and do work hand in hand. If you would like more information about Tina Francis, one of our other Industry Insights or Technology Courses, please contact [email protected] to learn more.